Summer is road trip season. It's the time of year for packing up the trunk, piling in the car with loved ones, and heading out on the open highway to bask in the many wonders of these United States. Before you put the pedal to the metal though, it might be a good time to reacquaint yourself with some basic rules of the road. Chevrolet has you covered. 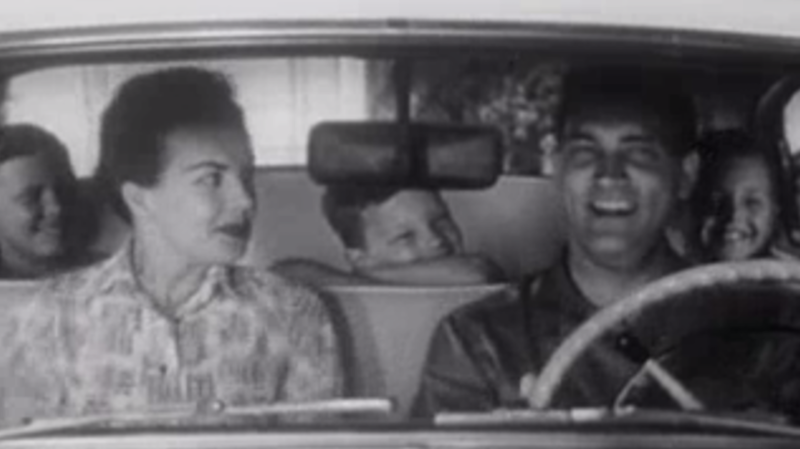 In this 10-minute commercial from 1954, the auto company tackles the all-important question of “How To Go Places.” Along with actress Gale Storm and her family, we learn about checklists, strategic packing tips, ways to keep the kids happy, time savers, money savers, navigation hacks, and how to stay comfortable during long stretches of driving. Of course, there are some pretty great shots of the car, too. In the first few moments the narrator cheerfully asserts, “Vacation: that wonderful American institution of going new places and doing new things.” In that spirit, here’s hoping your summer road trips are as efficient as this family's, who somehow end up at the Grand Canyon, Zion National Monument, Niagara Falls, Mount Rushmore, and the Atlantic Ocean. That’s one heck of a road trip.